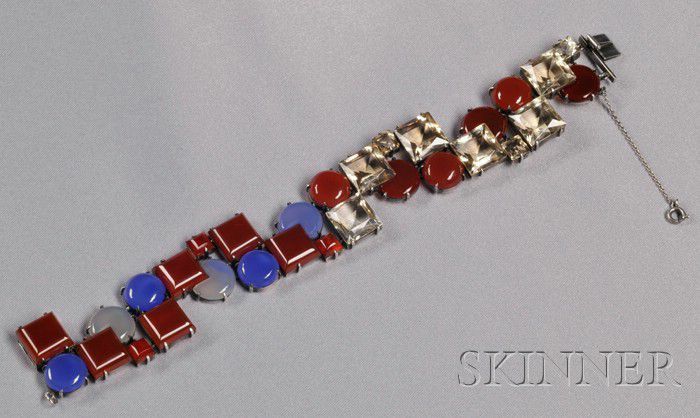 Art Deco Sterling Silver Gem-set Bracelet, Germany, set with fancy-cut citrines, blue chalcedony disks, and shaped carnelian tablets, lg. 7 1/2 in. Minor wear, mainly clean without evident problems, clasp could use tightening.